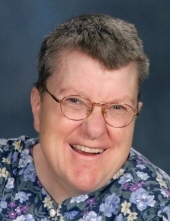 Julie Ann Farnsworth passed away suddenly on February 18, 2019 at Fort Atkinson Memorial Hospital. Julie was born on September 29, 1957 to Lewis and Phyllis (Wethal) Farnsworth at Stoughton Hospital. Julie graduated from Evansville high school Class of 1975. Julie spent most of her life in the Janesville area working for Kandu Industries of Janesville. Julie was an avid Green Bay Packers fan and participated in Special Olympics annually. She enjoyed bowling, reading and listening to country music. Julie is survived by her father Lewis (Marion) Farnsworth of Evansville, two brothers; Jeff (Susan) of Evansville and Larry of Madison. She is also survived by numerous nieces, nephews and their families. Julie was preceded in death by her mother Phyllis. A Celebration of Life will be held from 10:00AM until 12:00PM on Saturday March 2, 2019 at Ward-Hurtley Funeral Home Evansville. Special thanks to Maren and the staff of Julie's group home in Fort Atkinson for the past three years and to the staff at Fort Atkinson memorial Hospital. In Lieu of flowers memorials may be made to Good Shepard Lutheran Church in Janesville or the Humane Society of Southern Wisconsin in Julie's name. To plant a tree in memory of Julie Ann Farnsworth, please visit our Tribute Store. "Email Address" would like to share the life celebration of Julie Ann Farnsworth. Click on the "link" to go to share a favorite memory or leave a condolence message for the family.